Mono Silicon Solar Powered with battery backup ? Will charge using ANY light source: Alternative energy saves money. Always fully charged holding charge for years - Always ready to use, Eco friendly, and can be stored anywhere. 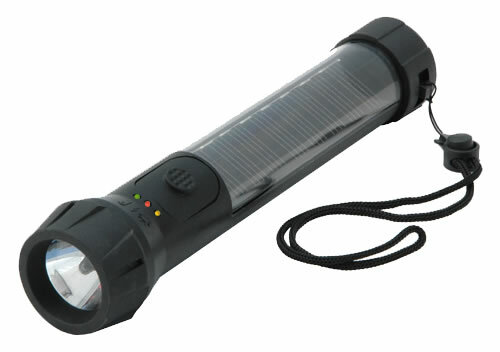 Super Bright LED - Provides bright light with spot and wide path. Waterproof, submergible AND it floats as well! Adds to many uses in addition to being used in and around water. Durability is unmatched; Lifetime Guarantee - No risk with purchase. Made of 50% polycarbonate and 50% plastic - Unmatched in durability. One piece construction - No chance to split at seams, Withstands strong impact. 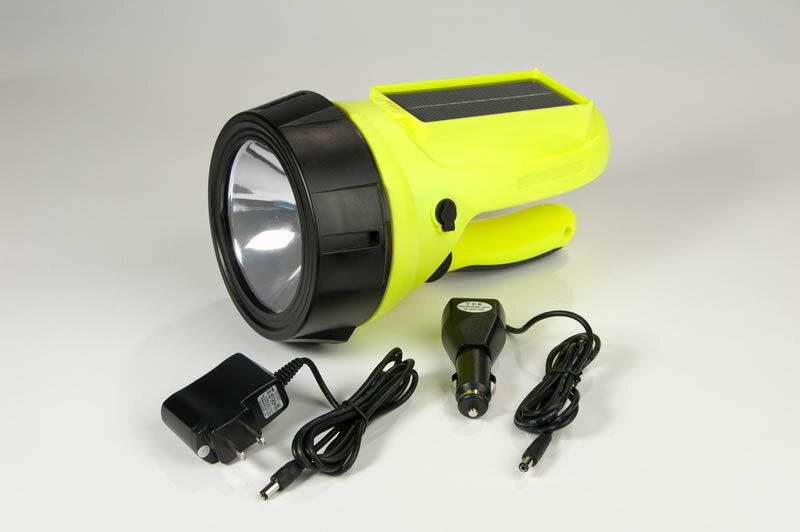 NiMh charging system and back up lithium batteries - Lifelong rechargeable system. Can be charged over and over again. Backup batteries offer 50 hours of use and a 7 yr shelf life. Simply click the switch ONCE and the light will use the charge from the solar collector. Click a SECOND time, and if needed the light will be powered by the backup lithium battery. Click a THIRD time to turn it off and the Light will resume its default position of charging from the solar collector. 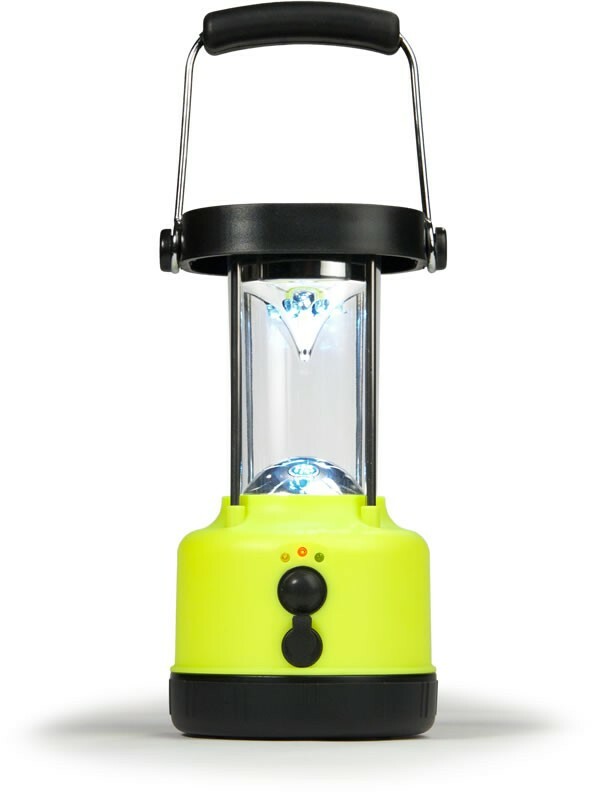 Indicator lights: RED illuminates when charging, YELLOW when using Solar Power from the collector, and GREEN when being powered by the lithium backup batteries.